According to Bleeding Cool, Fried Pie Comics are "a variant cover sub-brand, featuring variant covers for popular comics by well-known industry artists and exclusively distributed through American Wholesale Book Company." Only 1,000 copies will be disturbed at select comic book retailers nationwide. You can see if there are any Fried Pie stores near you with this locator. 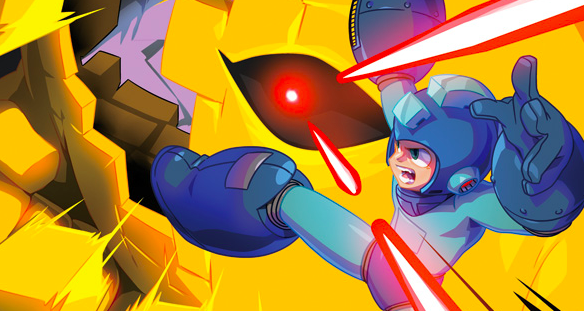 Mega Man Mastermix #1 launches January 24, 2018. That's an interesting mix of Classic and Ariga design elements. I like it. 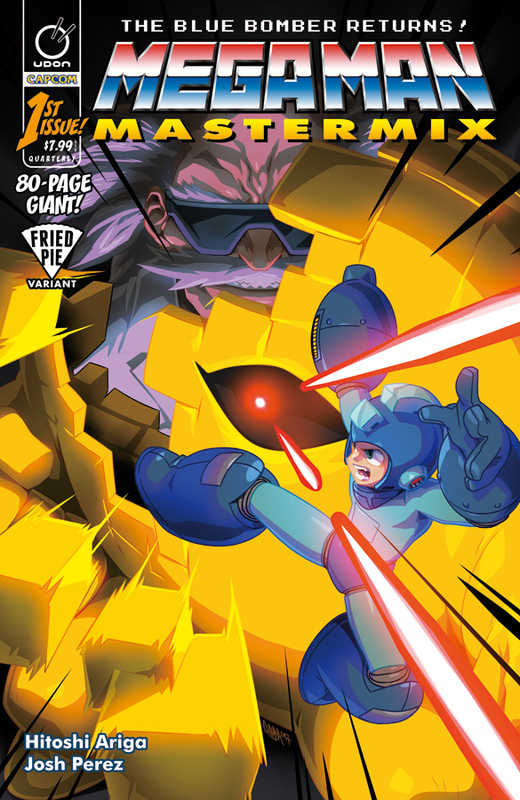 Chamba actualluyhas a knack for megaman more than anything else he draws i think. The Fried Pie locator only lists one store in my area, which according to Google (and to my own recollection) has been PERMANENTLY CLOSED since 2015. Bummer. Chamba's art is always outstanding. The man is amazing. I'm super excited to see this, I am a big fan of Ariga's work and I look forward to getting my stubby grubby touch stumps on this.